Get your expert high-quality articles on Terry L. Peterkin II - Coldwell Banker Advantage published on multiple partner sites. 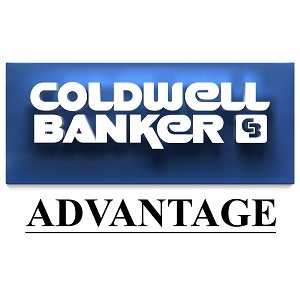 Terry L. Peterkin II - Coldwell Banker Advantage Fonolive.com, #1 Social Classifieds. Buying and selling a property is a very tiring task to do. So whether you are looking to sell your current home or purchase a new one, Terry L. Peterkin II - Coldwell Banker Advantage is here to help you and very committed to being with you every step of the way. So whether you are searching for your first home, or moving to your next, let's make the process a memorable one. Are you tired of browsing the internet and searching the city to find your new house? At Coldwell Banker Advantage, Terry knows that buying a house is probably one of the single most important purchase of your life and I want to make sure that the process is as smooth and stress-free as possible. It is a tedious process to find an agent that cares about your needs and what's important to you, I am that agent for you. I am equipped with the most updated knowledge and cutting edge technology allowing your home buying and selling experience a great one. Give me your business and I will make sure that you're well taken care of. Got a question in mind? I am ready to answer every question that you have. Every client is a top priority, and I will help you find the best house that your family is looking for. Terry L. Peterkin II - Coldwell Banker Advantage - where finding a house is made possible and comfortable. Share your Terry L. Peterkin II - Coldwell Banker Advantage, Fayetteville experience.